This opulent 29 piece dinner service is decorated with Herend Porcelain's famous 'Victoria' design, originally commissioned by Queen Victoria herself. 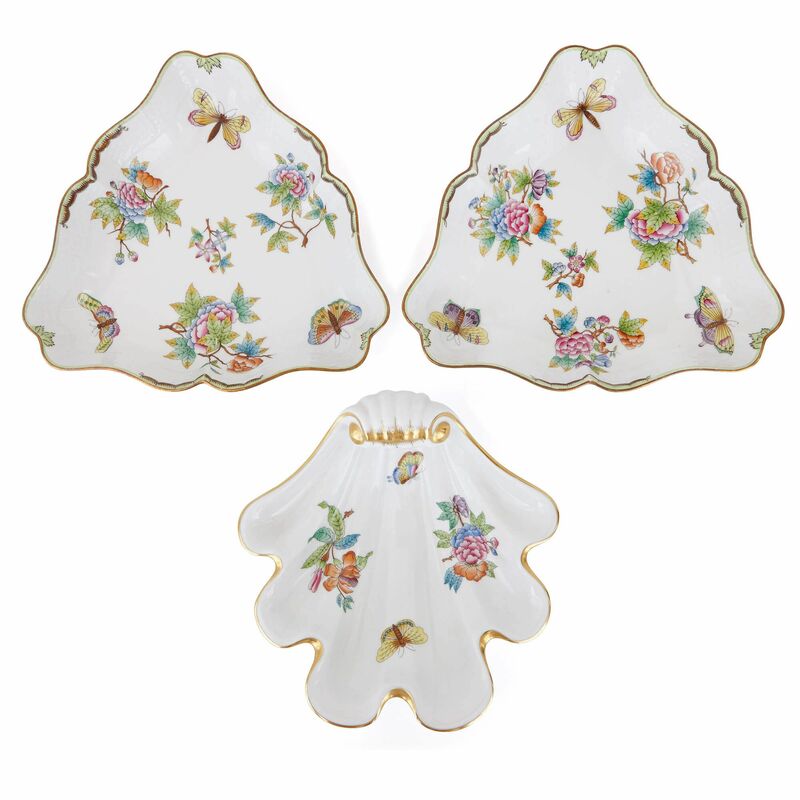 It was the famed 'Victoria' design on this magnificent dinner set secured the reputation of the Herend Porcelain Manufactory in Hungary. Founded in 1826, the firm exhibited at the Great Exhibition of 1851 in Crystal Palace, where they drew the attention of, among others, Queen Victoria of Great Britain. 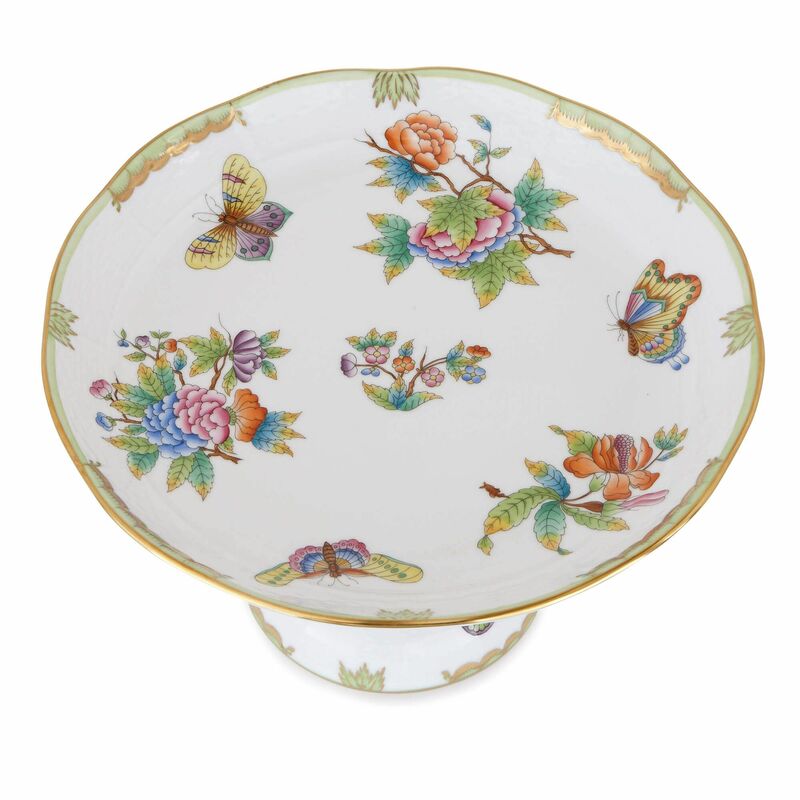 Victoria commissioned the Herend factory to produce for her a dinner service, decorated with a floral and butterfly pattern. 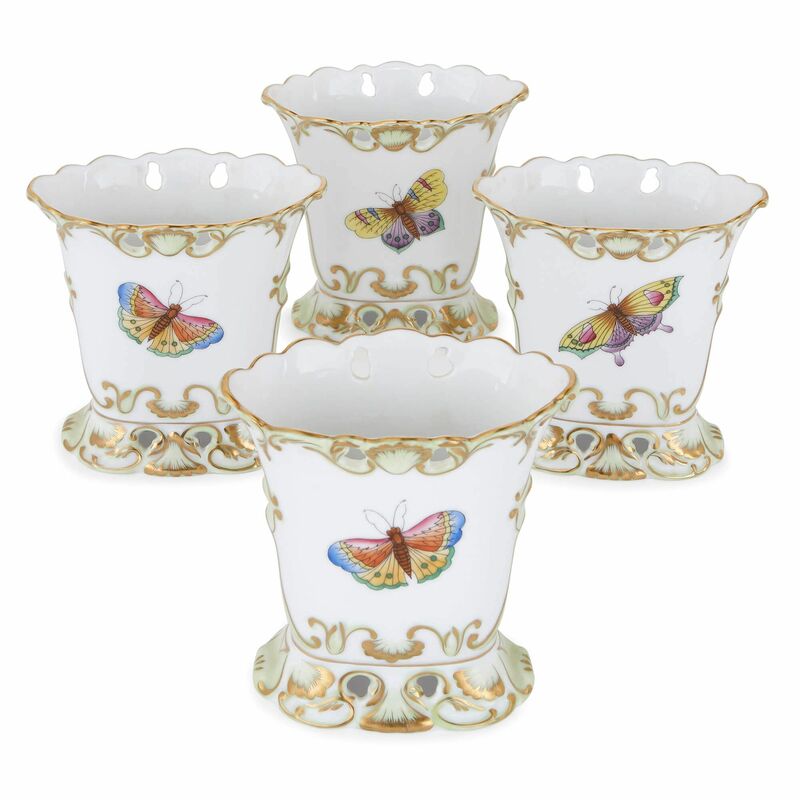 Herend have continued to produce the design, known as the 'Victoria' (or 'Viktoria' in Hungarian), ever since. 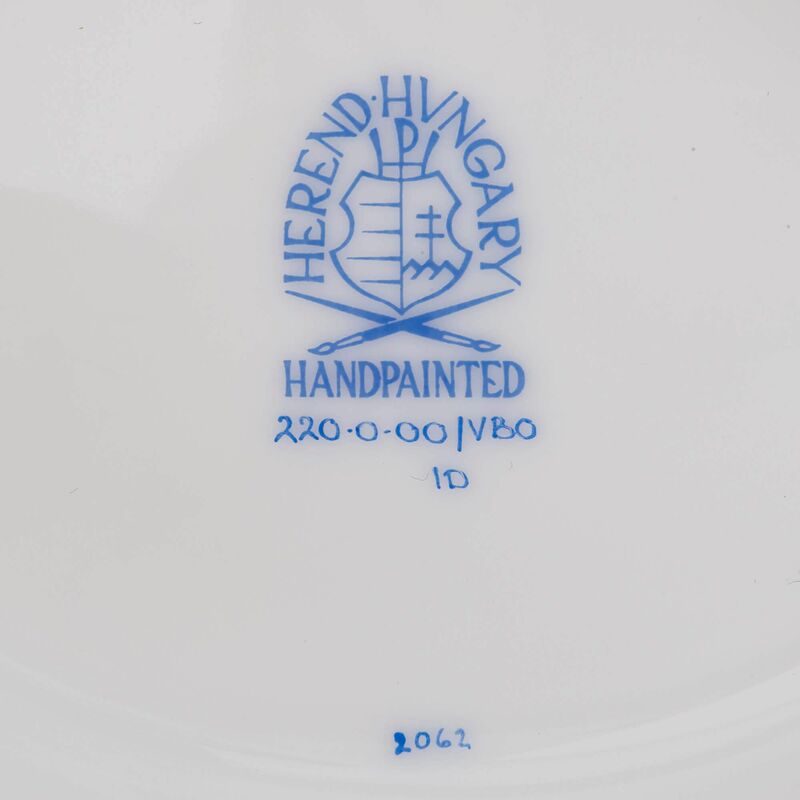 Following their success at the Exhibition, the firm would go on to receive further important commissions, including from the Austrian Hapsburg dynasty, and in 1872 they would be appointed Supplier to the Imperial and Royal Court of Hungary. 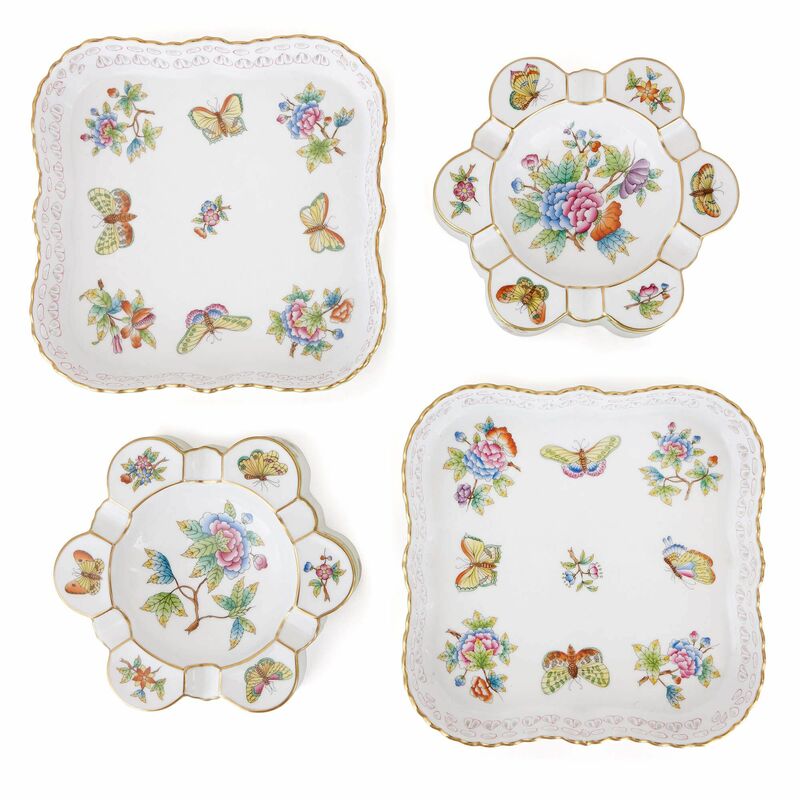 The present dinner service was made in the 20th Century, and comprises 29 individual pieces, each of which is decorated with brightly-coloured flowers and beautifully-detailed butterflies in the distinctive 'Victoria' style. 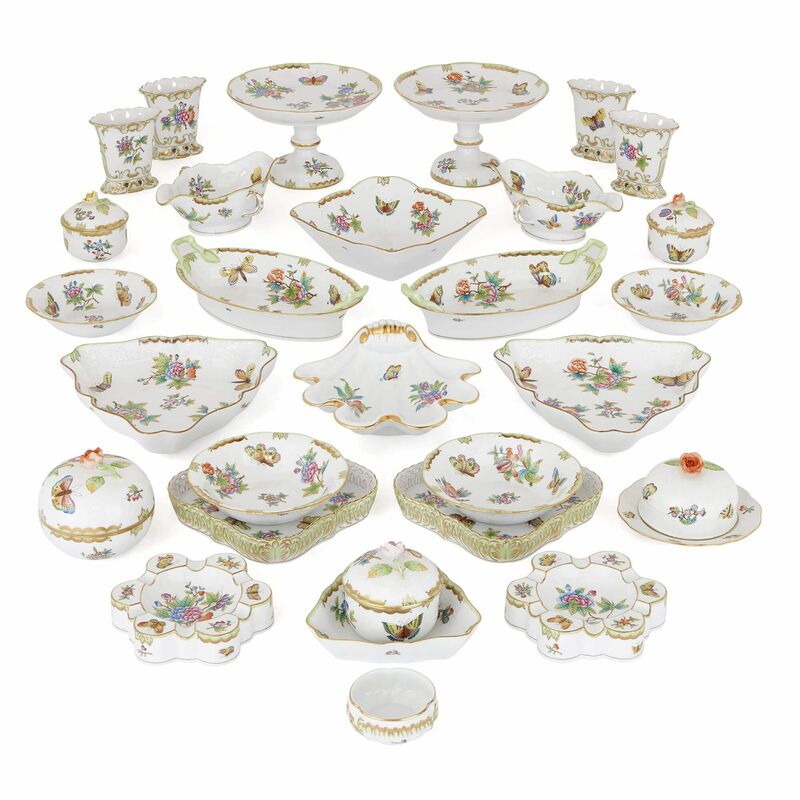 The pieces include: two stands, four pierced flower-vases, two double-lipped sauce boats, one square dish, three sugar bowls and covers, two small bowls, two larger soup bowls, two twin handled oval dishes, two large triangular dishes and one smaller triangular dish, a shell-shaped dish, two pierced square trays, one circular bonbonniere and cover, one circular butter dish and cover, two ashtrays, and one small open bowl. 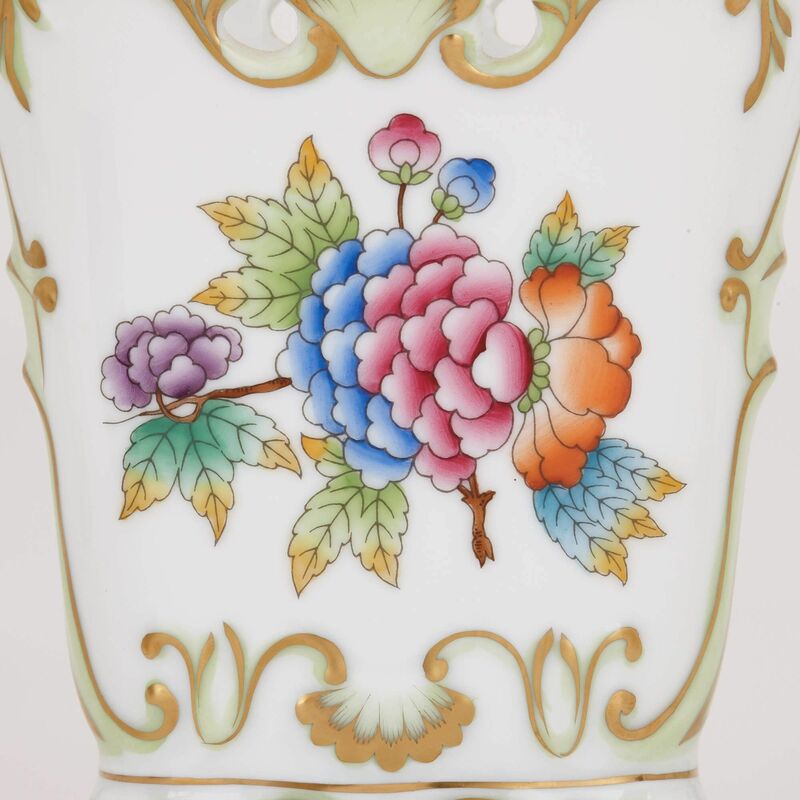 Each piece bears blue underlglaze marks to its underside for the Herend Porcelain Manufactory.